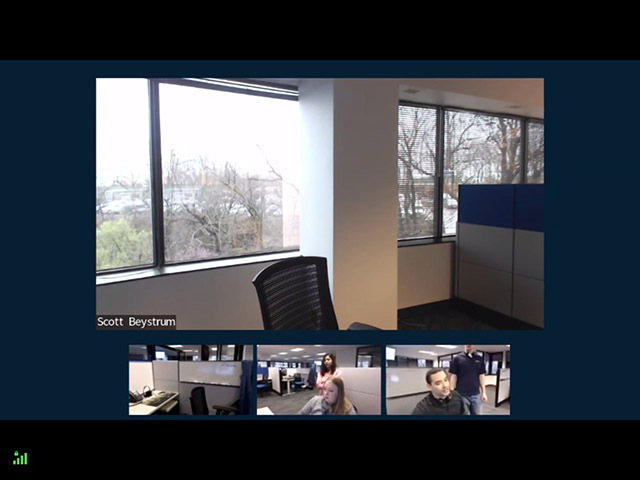 You can change your video layout when joined into a meeting from an H.323 or SIP device. You can also configure a video layout as the default in the H.323/SIP Configuration or change the layout with the dial string. For H.323 devices, enter ##11 at the end of your dial string (#11 if a meeting password has been entered. Entering 11 in the dial string will move to the next video layout option. If you have Gallery View set as the video layout in the H.323/SIP Configuration, entering 11 will toggle to Full Screen and 1111 will toggle to Active Presence. If you have a different default selected, it will move to the next video layout, in the order of Gallery, Full Screen, then Active Presence. See H.323/SIP Room Connector Dial Strings for more information. Gallery view allows you to see up to 25 participants at a time. Depending on the number of participants, it will do a grid of 2x2, 3x3, 4x4, or 5x5. If you have more than 25 participants, press 1 to activate the menu and then 4 or 6 to go through additional screens. Full screen layout displays the current speaker in full screen. Active presence layout mimics the active speaker view from the Zoom desktop client. 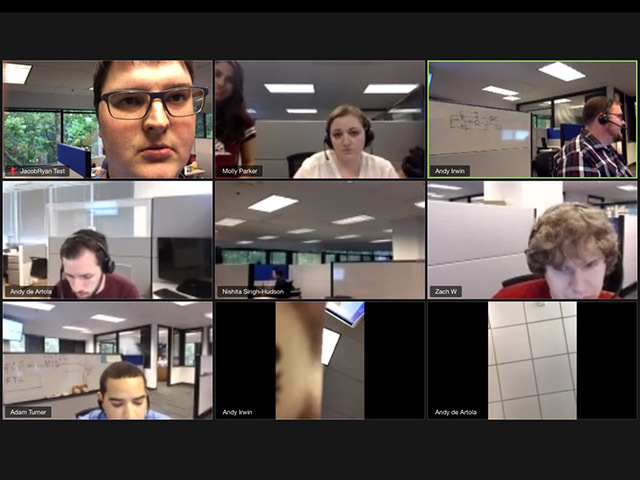 This video layout will display a large video window with the current active speaker with up to 5 thumbnail videos of other recently active participants below it. How Do I Switch Layout for Room Systems? What are the video layout options for an H.323 or SIP device? How do I change the video layout on an H.323 or SIP device?